Boutique gift shop, Present in the Laine hit the bohemian streets of North Laine, Brighton almost five years ago. A gift and accessory haven single-handedly created by Caroline Clifton, it is a great example of the unique charm small businesses bring to local communities. Doing this has provided Caroline with the flexibility that she’d craved, and Present in the Laine has provided the shopping district that is its namesake with a stylish and colourful gift shop. It’s clear that the boutique has a special place in the hearts of the locals. 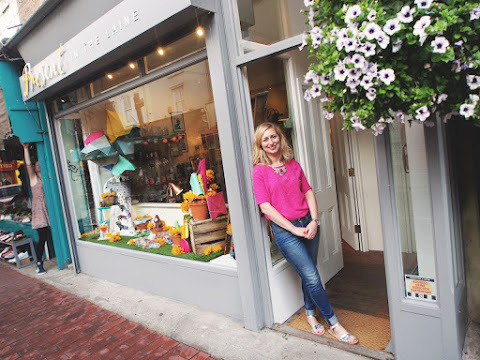 Caroline only hires from the local community, and the long-term commitment of customers that began from the moment Present in the Laine opened its doors, is testament to locals’ affection for the shop: “From the day we opened there was a hugely positive response. All the visitors commented on the great atmosphere – and the amazing smell thanks to our candle range! Despite such early popularity, Caroline has had to adapt her strategy and introduce an e-commerce side to the business, working with an online marketplace for independent boutiques. This has resulted in Present in the Laine driving traffic to its website and growing its online sales. This collective has also showed spirit in the face of high street adversity. Brighton’s high street network has come together and on 6 December this year, over 100 shops in North Laine will open their doors for a late-night shopping event, offering customers promotions – and prosecco – as well as extra time to complete their all-important Christmas shopping, encouraging shoppers to do so with small businesses. Small Business Saturday will hopefully kickstart Present in the Laine’s busiest period. 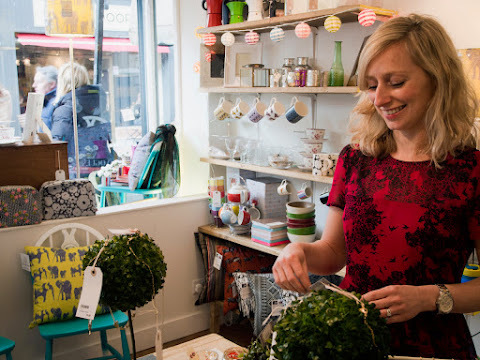 Christmas brings a rush of visitors on the hunt for unique and thoughtful gifts – something which this small business is all too happy and equipped to provide.